OMAHA, Neb. 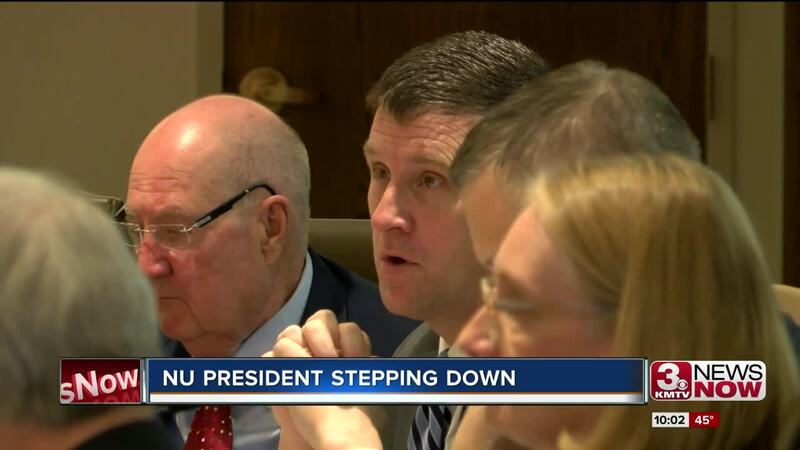 (KMTV) — In a surprising move, President of the University of Nebraska Hank Bounds said Monday he's stepping down this summer, and instead will spend more time with family. "He made the decision very thoughtfully, so while we're sad we understand that it's a very time-consuming position and we respect his decision,” says Elizabeth O'Connor, NU Regent. In a written statement bounds says "While rewarding, this job has also been personally demanding. I have done everything i could to serve our students and the people of Nebraska effectively. NU Regents Elizabeth O'Connor and Howard Hawks get where Bounds is coming from. Saying he ran the largest employer in the state and the job is similar to being a CEO. "When you take on an organization as president that size, it pretty much has to be all-consuming," says O'Connor. Both applauded the job Bounds did in his four years, saying he managed to keep the university's academic standards, while also dealing with a shrinking budget, due to the state's financial issues. "And to have a leader that can do both dimensions of that isn't common,” says Hawks. During his tenure the amount of research at UNMC has also gone up. "The level of research the medical center is doing and the level of momentum that all three universities have..it's a special job, there aren't many universities like it across the country,” says O’Connor. Hawks, a longtime regent, says the process in picking a replacement could take up to a year, although he'd like to hire someone sooner. He says the Board of Regents will have high expectations for the next university president and the job won't be easy. "You have to understand the political environment, you have to understand the culture of nebraska, and the needs of the other segment of the state,” says Hawks. Hawks also says he expects that the board will not be able to hire a regent by the time Bounds wraps up his tenure in August and it's likely they'll need to appoint an interim president. "Hank is a good man, and he led by rolling up his sleeves and getting to work. A lot of states have schools that they’re proud of, but no state is more closely associated with its great university system than Nebraska. The University of Nebraska has an incredible legacy of service at home and around the world. The partnership between our state and the university’s faculty, administration, donors, agriculture extension, alumni, and students is something truly special. We’re a small state, but our university already punches way above its weight and we have the potential to be one of the greatest university systems in the nation. The University of Nebraska is our state’s greatest resource for keeping young talent here and pioneering new opportunities through hard work. Our future is bright."